Oklahoma is a wonderful getaway destination offering an excellent combination of historic, cultural, outdoor, and family attractions. You can go on an epic road trip along part of the legendary Route 66, admire the lakes and other amazing scenery at the state's parks, get married, or visit top-notch city museums and galleries in Oklahoma City, Norman and Tulsa. 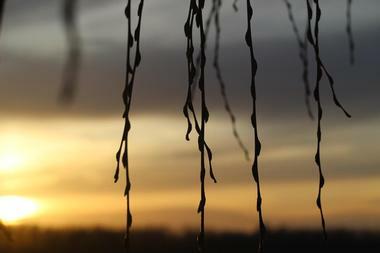 Here are the best places to visit in Oklahoma. Bustling and vibrant, Oklahoma City is chock-full of interesting attractions for the whole family, including some great museums. Families can have fun touring the Cowboy and Western Heritage Museum and the American Banjo Museum, while history and architecture enthusiasts can head to the Oklahoma Hall of Fame at the Gaylord-Pickens Museum and the Oklahoma History Center. Tulsa, Oklahoma is home to some of the best family attractions in the state, including the Tulsa Zoo (which boasts a dedicated Children's Zoo and petting area), the Tulsa Aquarium, and the fascinating Tulsa Air and Space Museum and Planetarium. Lawton is an interesting getaway destination featuring historic sites, scenic landscapes, and wide-open spaces where wildlife are free to roam in their natural environment. You can brush up your knowledge of Oklahoma history at the Museum of the Great Plains and then head to Fort Still, which is an active army fort dating back to 1869. The Wichita Mountains Wildlife Refuge beckons all nature lovers – here you can see free-range buffalo, longhorn cattle, elk, and deer and enjoy various recreational activities including hiking, mountain biking, rock climbing, and repelling. You can enjoy a variety of live theatrical productions at the McMahon Memorial Auditorium or learn about local culture at the Comanche National Museum and Cultural Center. History and architecture enthusiasts have a treat in store in Norman, Oklahoma, which is home to the renowned Miller and Chautauqua Historic Districts, where over 150 historic homes dating back to the 1920s are showcased. Highlights include the Boyd House, the Alpha Chi Omega Sorority House, and the Beta Pi Fraternity House, all of which represent three distinct and different styles of architecture. 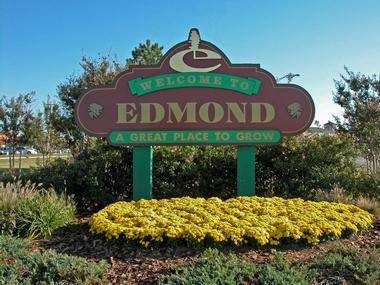 Edmond is located just north of Oklahoma City on Legendary Route 66, offering visitors a convenient base for exploring this interesting region. You can learn all about the Wild West at the National Cowboy and Western Heritage Museum, which boasts the largest collection of western artifacts in the country, and then watch a real live Rodeo at the Lazy E Arena. History buffs can go on a walking tour with the Edmond Historic Society and visit the Oklahoma Frontier Drugstore Museum in near-by Guthrie. You can pay your respects to the victims of the 1995 Oklahoma City bombing at the Oklahoma City National Memorial and Museum before lightening the mood and taking the family to have some fun at the Barnett Field Splash Pad. 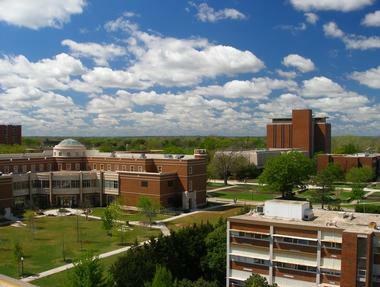 Ardmore is located in south-central Oklahoma and offers visitors a good variety of cultural, historic, and outdoor activities in and around the city. Equestrians will be drawn to the historic Hardy Murphy Coliseum, which hosts a variety of equine and other fun events, while history buffs can tour the Greater Southwest Historical Museum, the Military Memorial Museum, and the unique Eliza Cruce Hall Doll Museum. 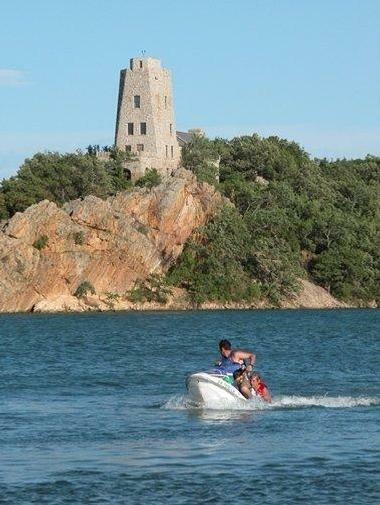 Outdoor enthusiasts will enjoy a visit the Lake Murray State Park for a day or two of hiking, camping, cycling, and water sports, or they can travel a little farther afield to Arbuckle Wilderness and Turner Falls Park for more outdoor activities. Cultural venues include the Charles B. Goddard Center for theater, music, and visual arts. 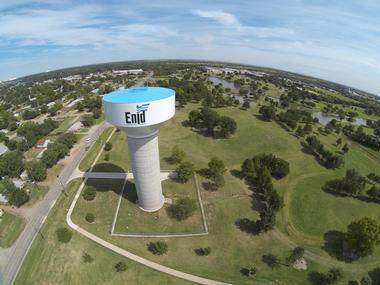 Located just 100 miles north of Oklahoma City, Enid offers a good selection of attractions for all tastes and interests. If you love learning about local history and culture you can head to the Cherokee Strip Regional Heritage Center or the Leona Mitchell Southern Heights Heritage Center and Museum. You can also take a walking tour through the Waverley and Kenwood Historic Districts. There are several family attractions, including Leonardo's Children's Museum/Adventure Quest, Splash Zone Water Park, miniature golf, and train and carousel rides at Meadowlake Park. 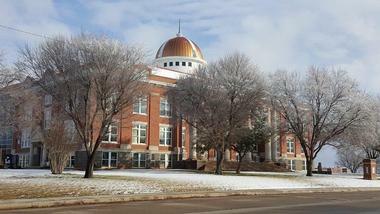 To add some culture to the mix, you can attend a concert at the Briggs Auditorium or visit the Enid Symphony Center. Foodies can visit Indian Creek Village Winery and the Plain View Winery. Nestled in the foothills of the Ozark Mountains you will find Tahlequah, a town dedicated to preserving and showcasing a rich heritage of Cherokee culture. You can learn all about the Cherokee Nation by visiting several historic sites, which include the Cherokee National Capitol (1869), the Cherokee Heritage Center, the Cherokee National Prison Museum, and a host of other historic sites. 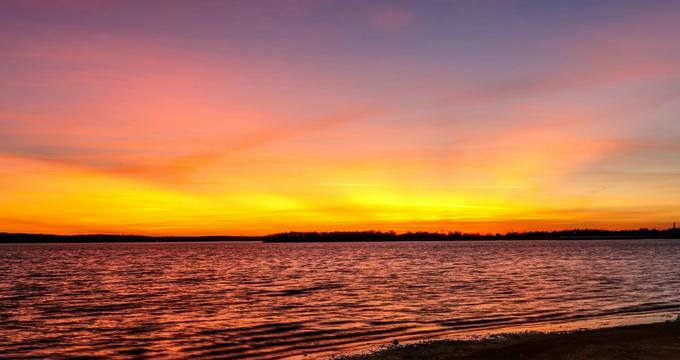 For a change from history and heritage you can visit Lake Tenkiller for boating, fishing, and just about any water-related activity you can imagine. 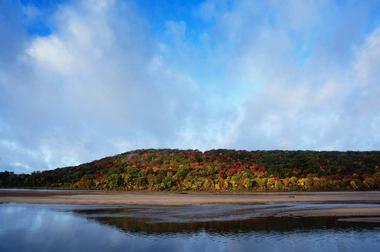 You can also go canoeing, kayaking, or paddling on the scenic Illinois River. Historic Downtown Tahlequah is packed with unusual shops, restaurants, and entertainment options, including Movies in the Park in summer. Broken Arrow is located in suburban Tulsa and has a variety of recreational attractions for visitors, including eight golf courses and good hiking and cycling trails. 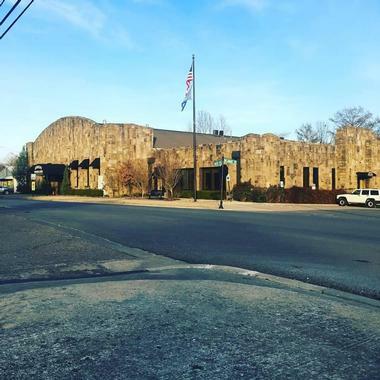 History buffs can visit the Museum Broken Arrow, which is situated in the historic downtown near the original train depot and then move on to tour the Military History Center. Outdoor enthusiasts can visit the Ray Harral Nature Center and Park, which offers good wildlife viewing, a three-mile walking/hiking trail, and picnic facilities. The Rose District is the foremost destination for art lovers, home to the Performing Arts Center, Pinot's Palette, and the Rose District Farmer's Market. Located 50 miles north of Tulsa in northeast Oklahoma, Bartlesville offers visitors an eclectic mix of attractions for all ages. 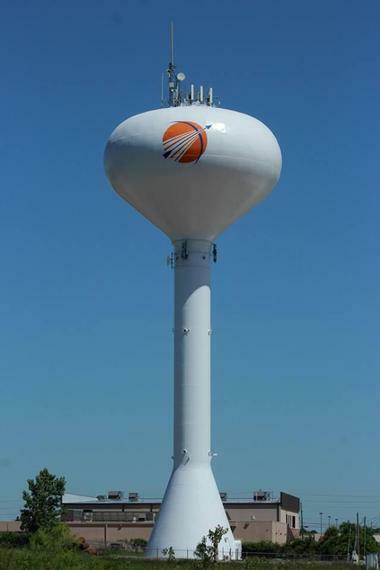 You can learn about the historic architecture of the city by joining a Bartlesville Heritage Trail Walking Tour and then move on to visit the Phillips Petroleum Company Museum and Johnson Park, both of which explain the city's small-town transformation into a global energy giant. There is still more history to appreciate at the 1903 Santé Fe Engine and Depot and the historic Frank Phillips Home. 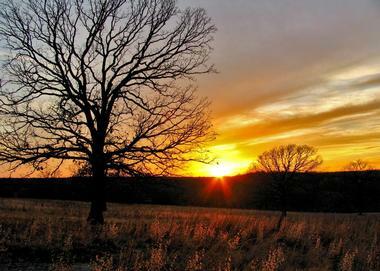 Outdoor enthusiasts can enjoy wildlife viewing in the Tallgrass Prairie Reserve and the Woolaroc Wildlife Reserve or go hiking, biking, and camping in the Osage Hills State Park. 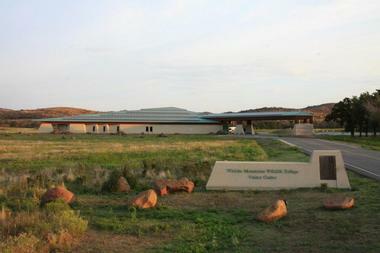 Nestled between two rugged granite mountain ranges, the Wichita Mountains Wildlife Refuge is located on a remnant of mixed grass prairie that is home to several species of wildlife including the iconic bison, America's largest land mammal. In addition to excellent wildlife viewing, the refuge offers visitors a wide range of recreational activities. You can go hiking along 15 miles of scenic trails at your own pace or join a guided bus or hiking tour led by a local naturalist. Anglers are able to cast a line in one of several lakes, and there are some great spots for rock climbing. You can bring a tent or RV and spend a night or two under the stars and backcountry camping is available in the Charon's Garden Wilderness Area. Located at the south end of the Bricktown Canal in Oklahoma City, the Centennial Land Run Monument commemorates the 1889 Land Run when over 50,000 hopeful pioneers raced to secure a plot of unassigned land in the Oklahoma Territory. The impressive bronze monument by artist Paul Moore effectively captures the emotion and energy of a moment in time, truly bringing history to life. It is composed of over forty-five larger-than-life statues of the heroic Land Run settlers created with amazing attention to detail. You will find yourself transported back in time to this famous historical event as you walk around the imposing monument, which is over 365 feet long. Nestled in the heart of the Ouachita Mountains in McCurtain County, the crystal clear waters of the 22-mile long Broken Bow Lake attracts outdoor enthusiasts and nature lovers to come and explore a pristine outdoor recreational area. You can try just about any kind of water sport on the clear calm lake – bring your own craft or hire a speedboat, houseboat, or jet-skis at the Beavers Bend Marina. Hiking enthusiasts can keep their feet dry and explore the 180-mile shoreline on foot along the Big Oak and Beaver Lodge Nature trails, which wind through beautiful forests. Trout (and other) fishing is extremely popular and there are several outfitters who offer guided fishing excursions on the lake. Calling all nature lovers and water sport enthusiasts, the Chickasaw National Recreational Area is all about having fun in and around water. The area is a veritable oasis offering fresh water springs, lakes, waterfalls, shady glades, natural rock swimming pools, and everything else you need for a great summer holiday. 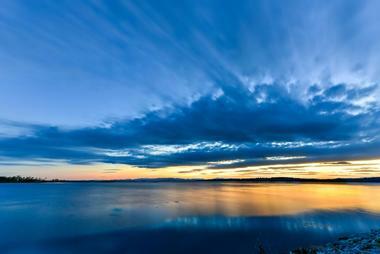 If you love camping, think about bringing your RV to the Lake of the Arbuckles Campground. The three campsites in the Platt Historic District, on the other hand, are perfect for tents. You can tour the area on foot along a variety of trails, go cycling, or enjoy all the water sports on offer at Lake of the Arbuckles and Veteran's Lake, which include boating, fishing, sailing, water-skiing, and much more. The Golden Driller certainly deserves a place on the list of Oklahoma's most quirky attractions. 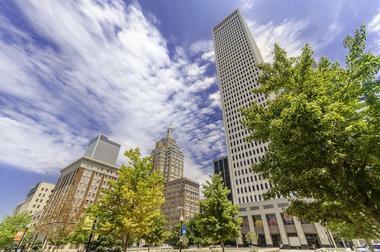 The enormous statue was first constructed for a trade show at the Tulsa Fairgrounds in 1953 when the city was one of the world's largest oil producers and drilling rigs dotted the cityscape. 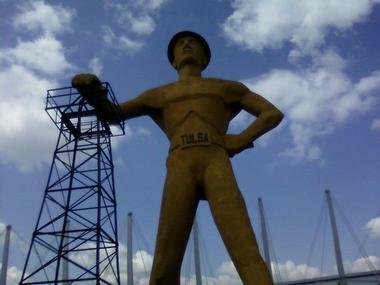 The statue has been replaced three times, and the current Golden Driller that you will see on your visit is the tallest free-standing statue in the U.S. (76 feet) – tall enough to rest his hand on a genuine Oklahoma oil derrick. The Golden Driller is dedicated to the thousands of men in the petroleum industry who have helped shape the history of Oklahoma and the U.S.
Bricktown is situated just east of the Downtown Business District in Oklahoma City and was the city's first warehouse and distribution center, established shortly after the famous Land Run in 1889. After a period of neglect and decline, the area was totally revamped during the 70s and is now a vibrant and thriving city entertainment hub. 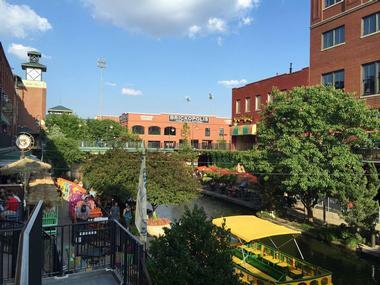 A great way to explore the area is to hop aboard the Bricktown Water Taxi for an entertaining narrated tour. Some of the Bricktown attractions you can visit include the American Banjo Museum, the historic Chesapeake Boathouse, the Land Run Monument, and several sports arenas. Foodies can visit the Bricktown Brewery and dine at one of thirty restaurants. 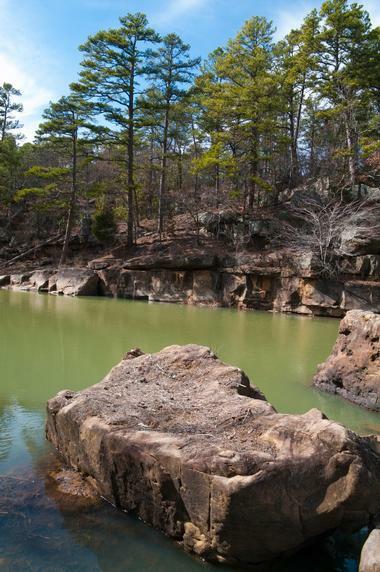 Nestled in the foothills and forests of the picturesque San Bois Mountains in Southeast Oklahoma, the Robbers Cave State Park beckons all adventurers to come and enjoy a wide variety of outdoor recreational facilities. The park derives its name from the notorious outlaws Jesse James and Belle Starr – today you can hike up to the very cave they used as a hide-out. You can go swimming, boating, and fishing on three lakes or try rock climbing, rappelling, hiking, and horseback riding. There is also a dedicated area for ATV enthusiasts and great facilities for younger visitors including a playground, a miniature train, and ranger-led activities. There are several options for cabin rental, or you can bring your tent or RV to one of the campgrounds. Tucked away in the scenic Ozark Highlands close to the Oklahoma/Arkansas border, the Natural Falls State Park is well worth a visit. The highlight of the park is the impressive 77-foot waterfall that cascades over a rocky promontory into a beautiful natural pool. The park is a great place to spend a few days communing with nature and enjoying the unique flora that thrives in the micro-climate created by the waterfall. You can bring a tent or RV to the campsite and spend some time walking and hiking along three miles of scenic trails. The railed observation platform at the top of the falls is accessible to wheelchair users, but you will need to hike down a (steep) path to reach the second vantage point at the foot of the falls. The 300-acre Turkey Mountain Wilderness is located just seven miles from downtown Tulsa and offers a great recreational area for active locals and visitors. Equestrians can park their horse-trailers near the main entrance on 67th Street and South Elward and share the multi-use trails with walkers, hikers, and mountain bikers. 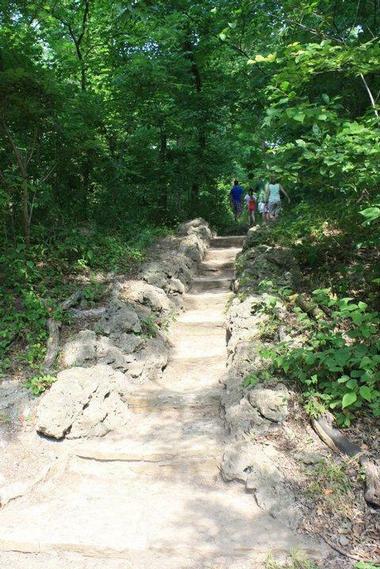 Unlike the majority of the surrounding landscape, Turkey Mountain is rugged and steep, and the summit rises to 300 feet above the Arkansas River, rewarding energetic hikers with sweeping views of the city. Families can try some of the easier trails that fan out from the parking area while serious hikers, bikers, and equestrians will find plenty of more challenging trails up towards the summit. 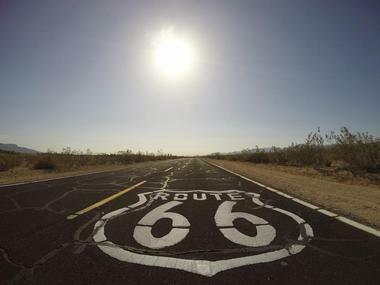 A Great American Road Trip along Route 66 is listed on many bucket lists, but taking on the full 2,400-mile journey can be a little daunting. To get a taste of the experience, you can consider driving the section of the Mother Road that bisects Oklahoma from Quapaw in the east to Texola in the west. Along the way you can visit dozens of towns and villages and see many of the iconic Route 66 landmarks that have captivated travelers for decades. You can stop by a classic American Diner for burgers and milkshakes, check into a historic roadside motel, and see dozens of neon signs, old classic truck stops, and kitschy Americana. History buffs can explore historic sites and districts in just about every town along the route. Mount Scott is one of the most prominent mountains in the Wichita Mountains Wildlife Refuge near Lawton. 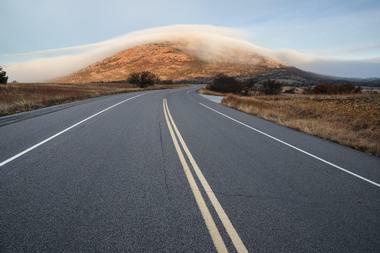 You can reach the 2,464-foot summit of Mount Scott by car along a three-mile paved road and will be rewarded with sweeping views over the surrounding wildlife refuge. It is also possible to drive to the summit in an RV – there is plenty of parking and place to turn. Mountaineering enthusiasts can undertake some challenging rock-climbing and cragging on the granite walls on the north side of the mountain (and in several other locations within the refuge). Hikers and cyclists generally use the paved road to reach the summit, but you can also indulge in some off-road bushwhacking to reach the top. Grand Lake O' the Cherokees (the full name) is nestled in the foothills of the Ozark Mountains in northeastern Oklahoma and ticks all the boxes for an active family holiday destination. 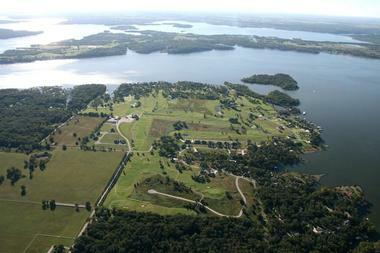 The enormous lake is surrounded by five state parks, offering a wide array of recreational activities. Avid fishermen come from miles around to try their hand at landing bass, catfish, and more, while families generally come to enjoy camping, boating, water sports, and hiking. The area is dotted with RV sites, resorts, marinas, and outfitters offering equipment hire for water sports, and there are no fewer than six golf courses near-by. Hikers and bikers will find several interesting trails to explore. 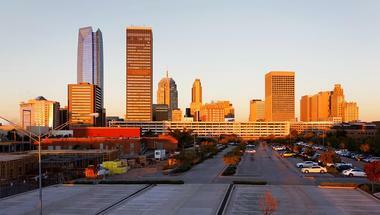 Skydance Bridge is a prominent landmark on the Oklahoma City skyline, spanning Interstate 40 south of downtown. 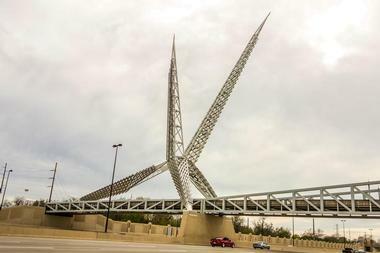 The pedestrian bridge is 380 feet long and is topped by an impressive 197-foot high statue inspired by Oklahoma's state bird, the scissor-tailed flycatcher. You can take a walk along the bridge, and benches have been provided in case you would like to sit for a while and admire the statue or watch the world go by down on Interstate 40. Although this landmark is quite impressive by day, it really comes into its own at night when it is remotely lit up with a succession of changing colored lights. 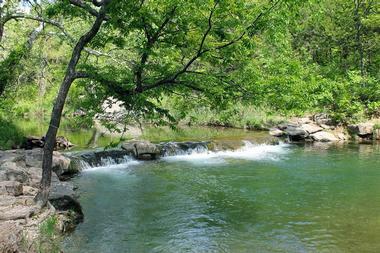 The Travertine Creek Trail is a picturesque and easy hiking trail in the Chickasaw National Recreational Area in the foothills of the Arbuckle Mountains. The trails winds along the banks of the Travertine Creek for about one and a half miles, and you will pass a succession of natural rock falls and man-made dams as you follow the course of the creek from the Travertine Nature Center to Pavilion Springs. You can stop along the way to have an invigorating dip in the natural swimming hole below the Little Niagara waterfall. If you are feeling energetic, you may like to do an addition side-hike to Travertine Island where you can have a picnic at a real rock picnic table. 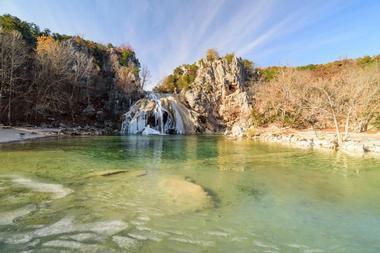 The impressive Turner Falls lie at the heart of the Turner Falls Park in the Arbuckle Mountains near Davis, Oklahoma. You can visit the park for a day or a few hours to see the 77-foot falls (the largest in Oklahoma State) or rent a cabin or campsite and spend a few days enjoying all the recreational activities on offer. There are sandy beaches, natural rock swimming pools, wading areas, bathhouses, and a water slide to enjoy. 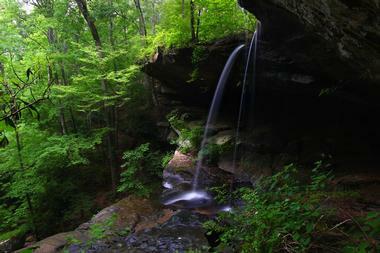 If you love hiking, you can set off along various routes to access viewpoints of the falls. Above the falls there are three natural caves for hikers to explore on foot.